As the brand celebrates 100 years of building trucks, Chevrolet is expanding its midsize truck lineup with Colorado ZR2 Midnight Edition and Dusk Edition models. They were shown ahead of their public debut at the SEMA Show, from Oct. 31-Nov 3, in Las Vegas, where they will be part of Chevrolet's display of concept and production vehicles. 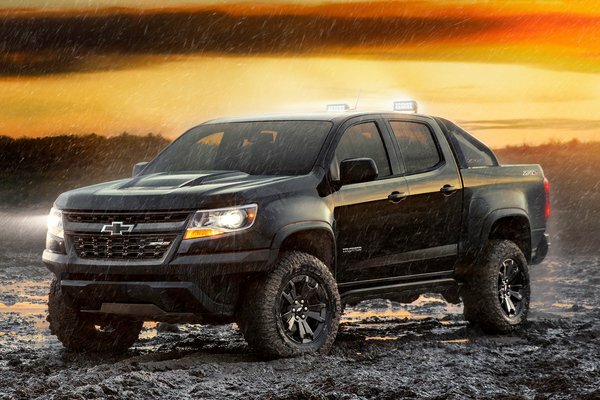 The 2018 Colorado ZR2 Midnight Edition features an all-black exterior finish, black Chevy bowtie emblems and 17-inch five-spoke black...Read.